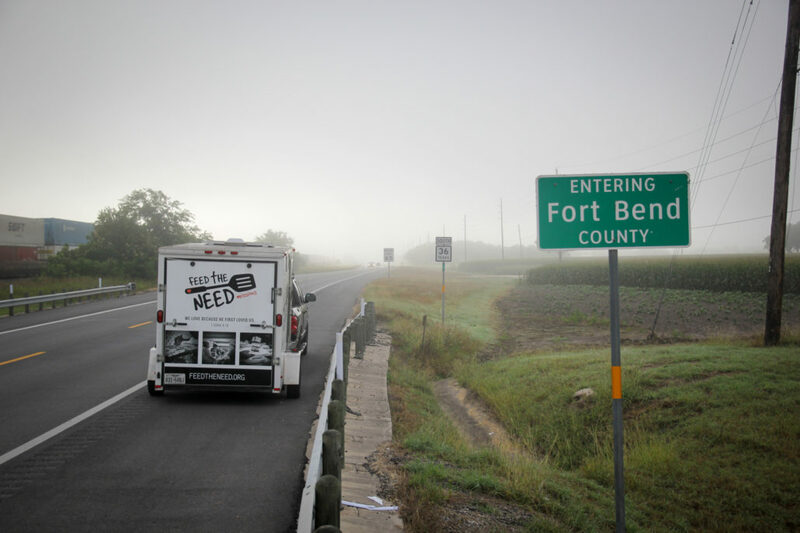 Fort Bend County Here We Come! Seven years ago, God burdened my heart for this ministry and gave us a vision to spread it across the country. That seemed like an impossible task for us, and it is, but it is not impossible for God. I’m so excited about all of the things that He has been teaching us over the past several years. He’s been teaching us how to minister to people, sharing the gospel in our churches and communities and how to be effective at running and operating a sucessful ministry. We have come a long way in developing the Bastrop area, which currently has five sites and operates on a weekly basis. The Denton area was launched last year and currently has one site and soon we will be establishing a second. I am excited about this next step as we continue to learn what it looks like to launch in new areas. This is where we need your help! Without you, the ministry wouldn’t be able to function the way it does. We are so grateful for you! It’s because of people like yourself, who listen to God and follow the passion that He is giving you for this ministry. You allow Feed the Need Missions to reach people for Christ. We NEED you to help us to continue carrying the mission and vision that God has for our ministry. First, we are reaching out and asking you for prayers. Pray for the Fort Bend County leadership and volunteers that God has hand selected for His specific locations that He wants us to plant. Pray that the soil begins to cultivate and seeds are planted. Second, we are reaching out and asking you to connect. Connect us with those that might be interested in serving. Help connect us with your church, friends and family. Third, we are reaching out and asking you for funds. Over the next few months we will work to raise the first phase of funds and recruit volunteers in preparation to start three new sites in October. Our goal is to raise $100,000 between now and the end of the year, to help with the initial process of launching the Fort Bend County area. God has called us to feed people physically and spiritually. For us that looks like providing a weekly hot meal and a listening ear while pointing people to Christ. The consistency of having a weekly meal is critical to building relationships and trust in order to effectively share the gospel and make disciples. Each meal costs an average of two dollars. But the impact is so crucial, even if it’s just one person who responds. How can we put a value on that person’s soul? Pledge a monthly amount, so we can continue to be at each one of our sites faithfully each week, rain or shine, holiday or not. Make a one-time gift to help us launch Fort Bend County. Help us spread the word. Let your family, church family, and neighbors know about Feed the Need Missions and encourage them to give too. Again, I can’t thank you enough for all the prayers, time and generosity that you have given to this ministry. I am humbled and honored to have the privilege to serve our God in the capacity He has called me to in this ministry. I look forward to seeing how He continues to use each of us to reach more people with His message and making disciples of all nations. To learn more about our Fort Bend County launch or to donate, click here. https://feedtheneed.org/wp-content/uploads/2018/05/IMG_0015.jpg 1365 2048 Jonah Beyer, Feed the Need President https://feedtheneed.org/wp-content/uploads/2017/09/Feed-the-Need-logo-MAIN.png Jonah Beyer, Feed the Need President2018-06-06 16:50:282018-07-25 16:39:09Fort Bend County Here We Come! © 2019 - Feed the Need Missions. All rights reserved.